At church today, the priest said more people came to church the Sunday after the earthquake than ever before. As soon as as there's a natural disaster everyone was looking for Jesus, the priest said. People who go to church in a regular basis and who usually sit on the same spot, they had to find another place to sit because the cathedral was so packed. Do you agree with "Mon Père"? Is it true that more people go to church when things are bad in the world? Personally, I prefer to go to church when things are good, because I am the type of person who likes to say "Thank you Lord for all your blessings" instead of "Di yon mo le Seyè!" 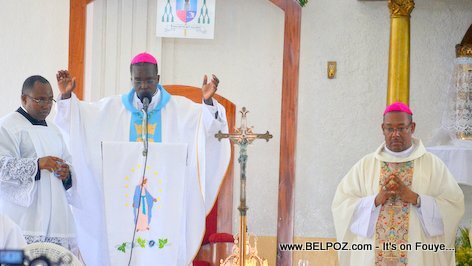 Aujourd'hui, à l'église, le prêtre a déclaré que plus de personnes que jamais étaient venues à l'église le dimanche suivant le tremblement de terre. Dès qu'il y a une catastrophe naturelle, tout le monde cherchait Jésus, a déclaré le prêtre. Êtes-vous d'accord avec "Mon Père"?